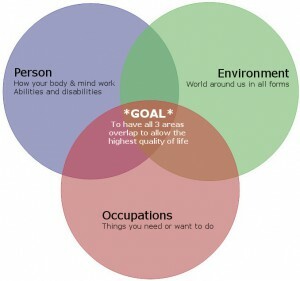 Home » Business » What is Occupational Therapy? I spend a lot of time explaining what I do as an occupational therapist — a lot. It is understandable, given that our title is a bit vague and confusing in pediatrics. Occupational therapy started with the philosophy that people need to engage in meaningful occupations to be healthy. However, an occupation is not a 9-5 job. An “occupation” is anything the occupies a person’s time that is meaningful. Here is an excellent video made by the UBC MOT class of 2013 that highlights the impact of occupational therapists across the life span. So, as a pediatric occupational therapist I help child to be successful at childhood occupations. 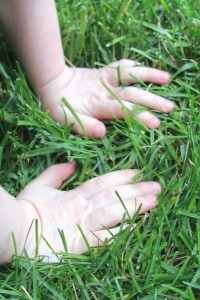 What occupies a child’s time? Anything children find meaningful: playing, learning, chores, and friendships… the list is endless. For more examples, see my post about the occupations of childhood. A lot of my job looks like I am just playing. However, I am doing so much more than playing. I am constantly analyzing, adapting, modifying, and teaching. Occupational therapists are trained to look at the big picture first- what do you need or want to do to have a meaningful life (we call this occupational performance and participation)? We then look at how factors about a person (how the mind and body function) interact with factors about the environment (physical, cultural, and social environments). We use skilled analysis and interventions to create change in either a person’s capabilities (e.g., exercise to get stronger), a person’s environment (e.g., build a ramp into a house), or a person’s occupations (e.g., learning a new hobby after an injury). Role of research to provide evidence to support OT practices.